Reapit and Propertymark are proud to announce a new partnership to help ARLA members to improve software skills and achieve their mandatory CPD commitments. Following a successful pilot, Reapit IQ, Reapit’s very own Learning Management System is now being offered to all Reapit clients. This represents the next exciting stage in Reapit’s commitment to champion best practice in the estate agency and lettings software sector. Reapit’s expert in-house training team have developed a complete e-learning suite of courses aimed at both front office sales and lettings staff, currently with a focus on new users and those wishing to refresh their knowledge of the product. 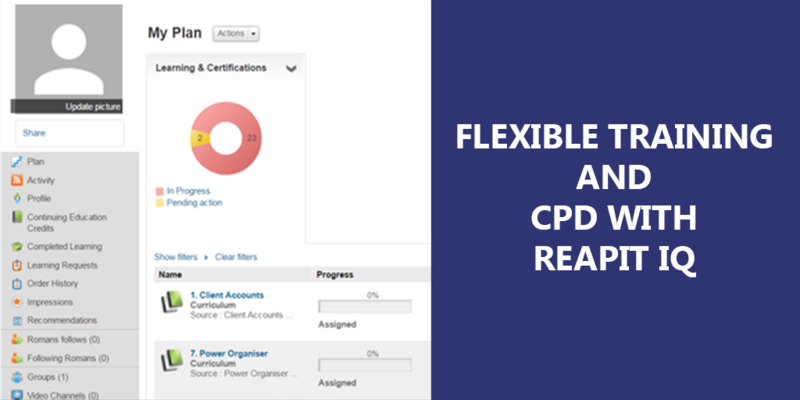 The courses contain a range of modules and tests and are supported by a range of webinars, allowing clients to directly engage with an experienced Reapit trainer to gain more detailed knowledge of the product. Reapit IQ may also be used to provide refresher training to those who have previously attended live courses. Further modules are being developed for Reapit IQ for release in the near future, aimed at more experienced users and covering advanced features of the software. Reapit IQ also allows clients to quickly and easily self-book on their extensive portfolio of scheduled classes and webinars. Training attendance is tracked and is also transferable, meaning an experienced Reapit user starting with a new company can avoid the need to attend unnecessary training courses, as Reapit IQ can be used to prove their competence. Reapit IQ never closes! Reapit clients in the UK, Ireland and worldwide can access their e-learning content at any time to suit their working patterns, no matter on the time zone. It also supports business owners in achieving their mandatory CPD commitments to maintain Propertymark membership. Reapit have created a working partnership with Propertymark, to ensure that any new training or revised material is certified for CPD, maximising value for their clients. Reapit IQ is now available to all 20,000 RPS users worldwide. For further information, e-mail training@reapit.com and put ‘Reapit IQ interest’ in the subject line.